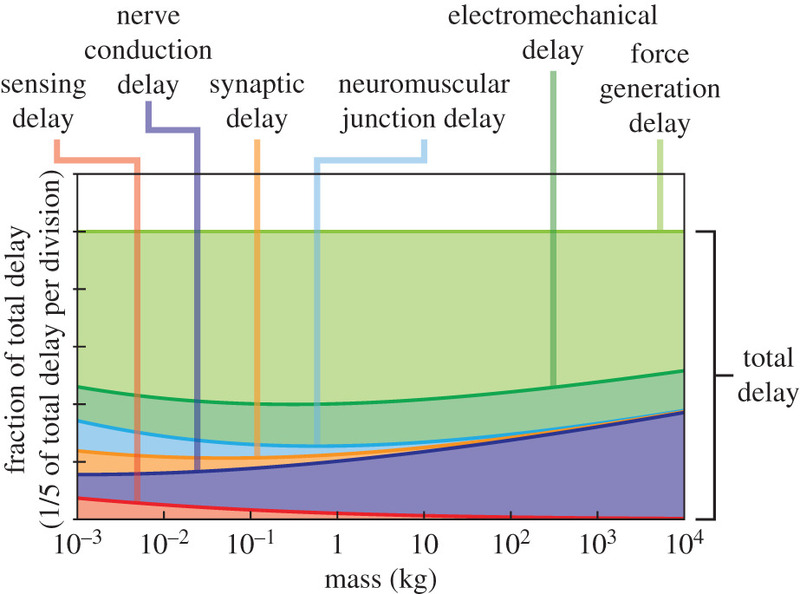 According to the Physics Factbook, nerve impulses travel at speeds anywhere from 1 meter per second up to around 100 meters per second. Blue whales reach up to around 30 meters long. For a full-size blue whale, this means that a nerve impulse to move the tail muscles could take from 0.3 seconds to 30 seconds to reach the tail. While I'd imagine factors such as myelination and other adaptations function to keep this closer to the 0.3 second measure above, this is still a best case scenario, and would certainly be a noticeable delay were it a human being. Do large organisms experience meaningful delays when moving their most distant appendages? Yes, larger animals do experience larger delays in movement. That graph is for innate reflexes of a needle to the hind versus a kick-time. Perhaps no one dared to prick a blue whale. 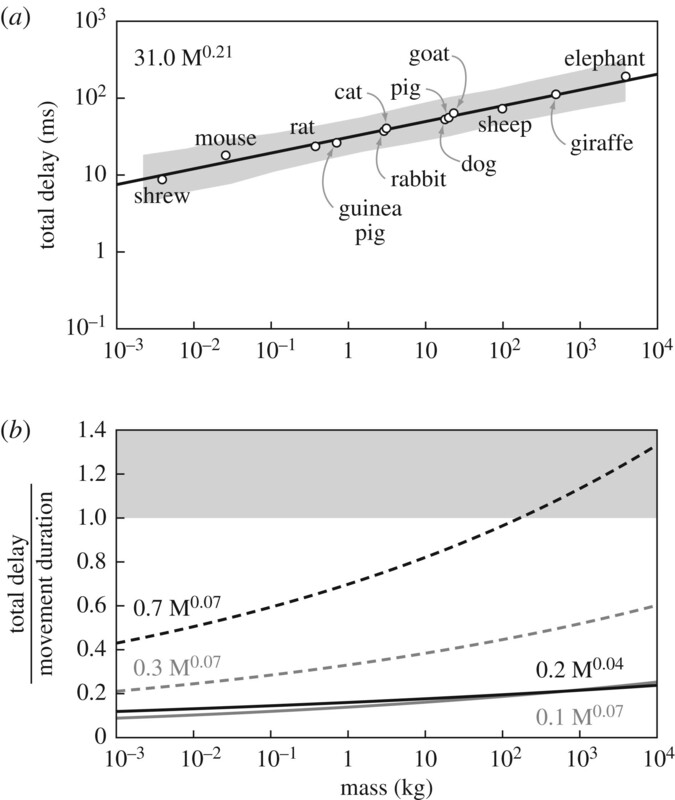 Elephant vs shrew, heartbeat of 30 vs 1500 BPM, elephant 50 times slower than the shrew. Larger animals compensate with a better ability to predict physics and kinematics using their larger brain. There are other kinds of movements which have more complex neural pathways that the graphs of pin-prick reflexes, that are even slower compared to size, you can study the physiology of eye to hand response in humans which varies from 120ms to 270ms for different humans. 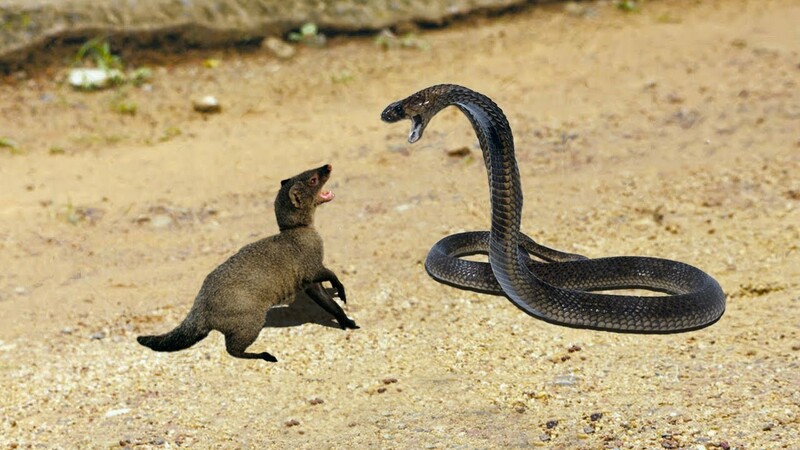 It does have an effect on survival for example with a mongoose versus a snake, the mongoose has more versatile and faster reactions. Not the answer you're looking for? Browse other questions tagged neuroscience zoology peripheral-nervous-system locomotion or ask your own question. When do most mammals mate? Do egg laying animals experience a pregnancy? Why are cancer rates low in large animals? What do firebugs do when they “connect” by their rear?